I'm wrapping up this spooky season with one last Day of the Dead project. 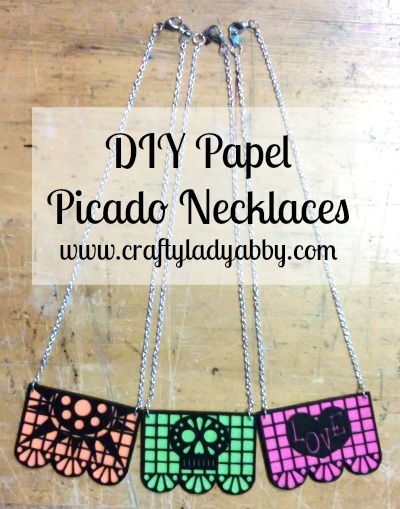 In conjunction with the 2nd Annual Dia de los Muertos Blog Hop, organized by Rebel and Malice, I created DIY papel picado necklaces. These are an updated take on the traditional papel picado, made with tissue paper. If you're into the more traditional kind, check out my Skull Papel Picado Tutorial, I did back in my Skull-A-Day project days. These necklaces make us of a Silhouette Cameo cutting machine, which saves your hand from laborious cutting. 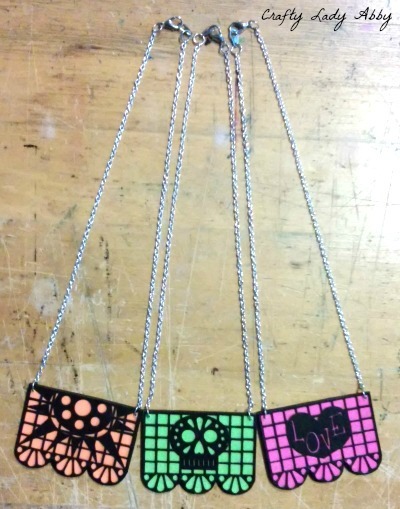 I made three designs which you are welcome to duplicate using my Papel Picado Necklaces Silhouette Cameo Cut File. I made 3 sizes for you. The smallest is for these exact necklace. The bigger ones can be use for little banners. If you want banners, you don't have to make all the paper layers the necklaces need. You can just back the papel picado with colored cardstock, punch corner holes, and string with baker's twine. You can resize the files to your needs. 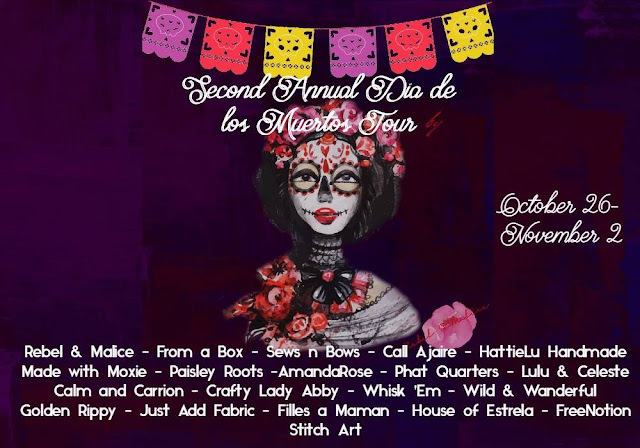 After the tutorial, keep heading to the bottom to see the other blogs participating in the 2nd Annual Dia de los Muertos Blog Hop. Also, there is a GIVEAWAY, so make sure to enter that!!! Details at the bottom of this post! Plaid Crafts (Mod Podge) and ClearSnap provided me with their products for free. I only use products that work well for the projects. 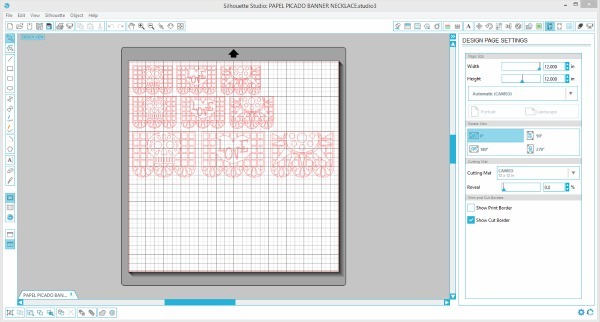 1) Open the Papel Picado Necklaces Silhouette Cameo Cut File in Silhouette Studio on the computer. Select what size necklaces you want. Delete the other sizes, so only one size is cut later. If you only want one design, but want multiples, delete everything but the one you want. Then, duplicated it as many times as desired, spacing out the duplicates about 1/4" from each other. 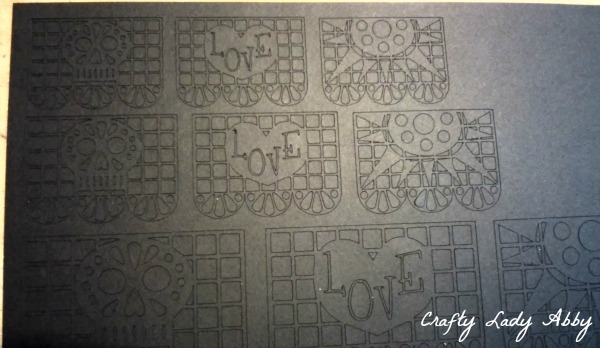 2) Add a piece of black cardstock to your cut mat, smoothing it down for the best adhesion. Load the mat into your machine. Set your Silhouette Studio cut settings to cardstock and adjust your Silhouette Cameo blade to the suggestion. Mine is at 3. Send the file to Silhouette Cameo. After the file is completely cut, unload the mat from the machine. I cut all 3 sizes and designs. 3) Carefully peel the papel picado from the cutting mat. Poke out any negative space pieces where needed. 5) With the small scissors, cut around the papel picado border, removing the excess colored cardstock. 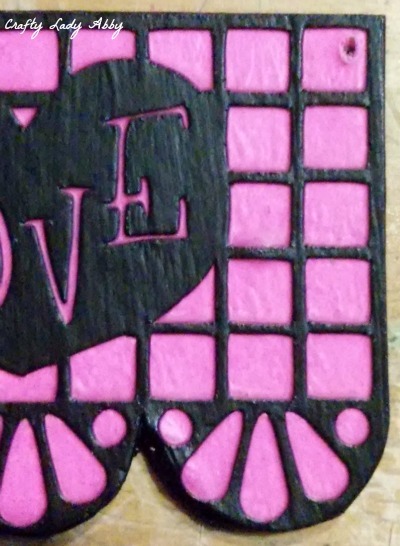 6) Working quickly, with the paintbrush, add a layer of Mod Podge to the chipboard. 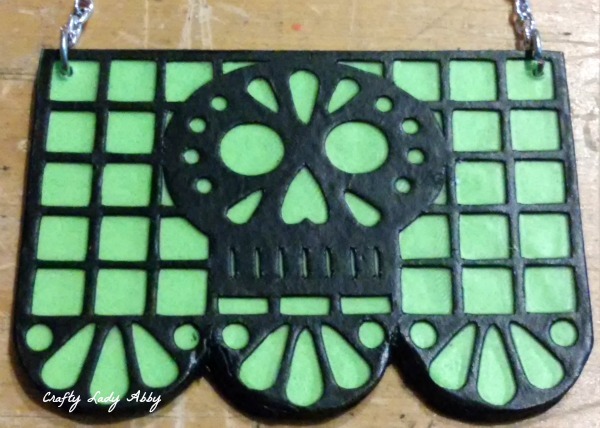 Press the cardstock backed papel picado onto the chipboard. 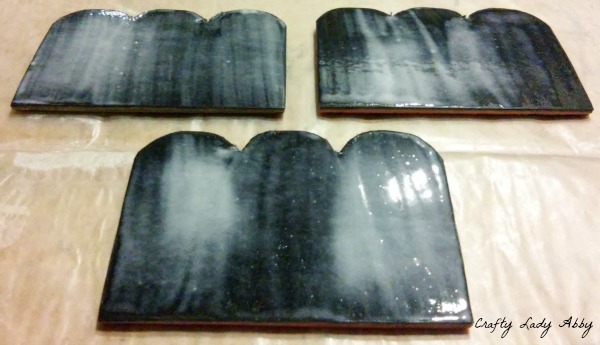 Lay wax paper on top and press under a heavy book for an hour. 7) Remove papel picado from wax paper pressing. With small scissors, cut around the papel picado border, removing the excess chipboard. 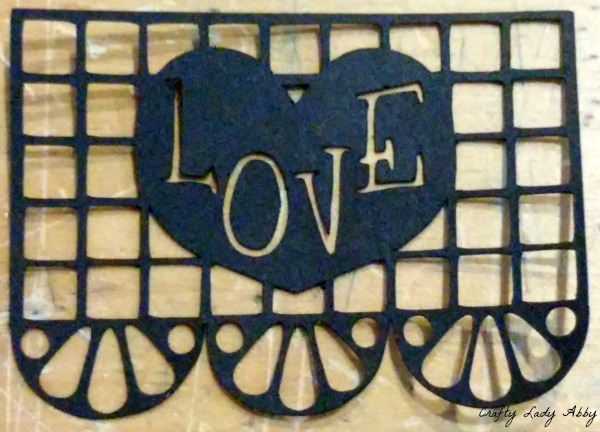 8) With the flat paintbrush, apply a layer of Mod Podge to black cardstock. Apply the layered papel picado. Lay wax paper on top and press under a heavy book for an hour. 9) Remove papel picado from wax paper pressing. With small scissors, cut around the papel picado border, removing the excess cardstock. 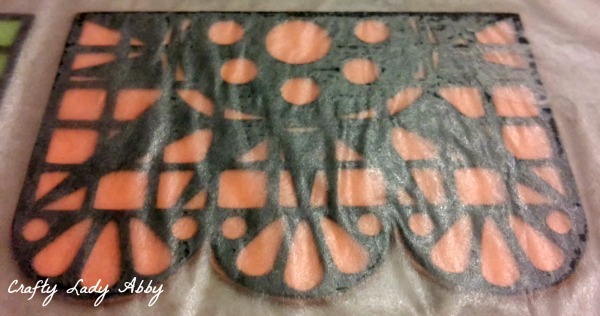 10) Using a small stiff paint brush and Marisa Pawelko Modern Surrealist Surfacez Ink in Beyond Black, color the edges of the layered papel picado. 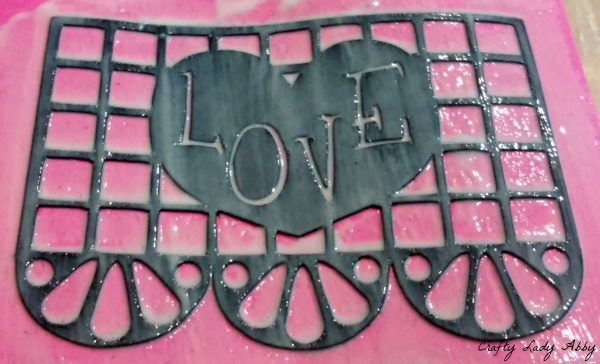 11) With the flat paintbrush, seal the papel picado back and sides with Mod Podge. 12) With the hand drill, carefully drill one hole in each top corner of the papel picado. 13) Cut the 15" chain in half, with the wire cutters, making two 7.5" pieces. 14) With the jewelry pliers open one jump ring. Slip the jump ring through one hole and add one end of chain. Close jump ring with jewelry pliers. Repeat for other hole, chain, and 1 jump ring. 15) With the jewelry pliers open one jump ring. Slip the jump ring through one chain end and add the lobster clasp. Close jump ring with jewelry pliers. Repeat for last jump ring, 2nd chain and closure tab. When you are finished, your necklaces should look similar to mine. That's all for this project. If you love papel picado, check out my other related projects. 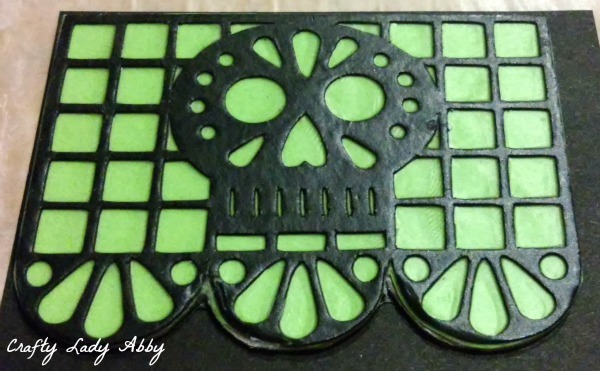 This Cut Paper Sugar Skull was my 1st nice tutorial. It's still one of my favorites and hangs in my house. If you'd like a necklace version of that one, check out my Cut Paper Skull Pendant. It's the same instructions as the big version, but scaled down into a pendant. As we head into cold weather and Winter, my Skullflake tutorial is ever popular...actually my most popular tutorial that gets reproduced every year by happy people wielding craft knives and paper. 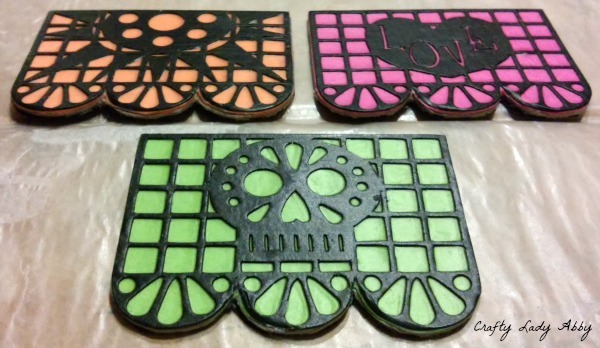 I hope you've enjoyed all the Day of the Dead and Halloween projects I've been showing you how to make lately. Now look below for more projects made by other blog hoppers and enter both giveaways! Happy Makery! Don't forget to enter the Rafflecopter. There will be a small giveaway for a copy of the DVD "The Book of Life" and a copy of the book "Rosita y Conchita" by Erich Haeger and Eric Gonzalez. They are not affiliated with this website or giveaway. This is such a beautiful project! Thank you for being a part of the tour again. I really love this one. I definitely need to make it. We love to cook our loved ones favorite foods as a way to remember them and share our memories of them.